Thank you to Everyone who judged our site praiseworthy! or if you want to submit your home page for consideration, just click on them. 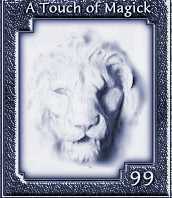 Thank you for your excellent contribution to GeoCities. We like your site so much that we've decided to feature it. You are the recipient of the Just a PrairieBoy WEB EXCELLENCE AWARD. Your hard work at creating an original, creative, interesting and enjoyable site has won you this award. 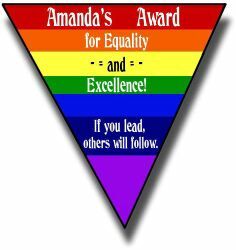 Not all who apply or are nominated will receive this award. This means as a winner of this award you should be proud and stand tall as you and your site .... are amongst the few who are the cream of the crop! Congratulations for what you have achieved and best wishes for all you may endeavor to achieve on the web in the future. While hunting on the web we found your site. We believe that all works of beauty, especially works created with love are to be recognized and promoted. Your site is artistic in content, style, and presentation. 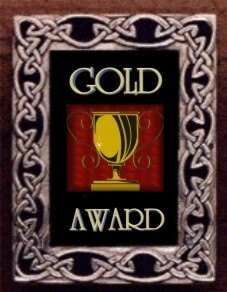 It is with pleasure that we issue the The GOLD Award to this site. Congratulations on producing a Web Site that reflects a very high standard of creativity and professionalism on the World Wide Web. Excellent quality of content and ease of navigation. Congratulations!!!! Your site has won our award. You have a very nice site. I enjoyed my visit to your site and will be back to visit often. 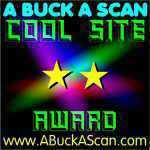 Your site has been selected for the BuzzGuide Award for Excellence. In the fields of education, service and entertainment for your stories, graphics and html help for beginners. Also for service to the Gay Community. again THANKS for making the web a better place by having such a wonderful site. All of us agreed that you truly do have an interesting web site with quality content and design, informative and unique. Congratulations on a well designed site! "A Touch of Magick Silver Award". CONGRATULATIONS!!! We are very Proud to Present To You The Shadow Girlz Web Elite Award! We think that Your Website is a Real Gem because of Its Wonderful Design and Originality, Its Outstanding Content And The Greatness of the Human Values It Promotes! We created Our Award to Thank and Reward The Fabulous People Whose Incredible Websites Are amongst the Greatest and Incomparable Treasures of the World Wide Web. Yours is All That and So Much More and We are so Happy and Delighted to Show You our Appreciation. Once Again, All our Congratulations!! Keep up the Fantastic Work and Thank You for Embellishing the Internet with Your WebSite! I have visted your webpage and found it to be a quality site. I enjoyed viewing your page. I came upon your page by surfing. 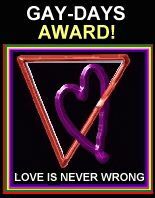 This Award is made thru surfing and not an application. Congratulations, your site has the high honor of receiving the Silver for it's quality and content. A very nice site with good design, clever use of graphics and good content, good navigation and excellent load time. This site is a positive contribution to the Web. Thank you for making the web a more informative and interesting place! Hey there you, congratulations; we visited your site and got our kicks there, so we'd like to present you with the Kartoon Factory's "It's too Cool" Award for web site excellence!